After my fairly time consuming quilted jacket, I decided to do something easy. This tunic top is made using Simplicity 2365, a top I have made before. I confess, I have worn the first version of this top maybe once. Why? I felt it was too short to wear with jeans and, whilst not tight, was just a tad snug at the bust. This time around I added two inches to the length and about 0.25 inches at each of the front princess seams. There probably wasn’t any need to do this, as the fabric I made this in has a slight crinkle effect and so it’s more forgiving that the cotton I used last time. It’s still too cold to really wear this top in all it’s glory, but I can throw a cardigan over it and it will work now. But when the weather warms up I think I will wear this top LOTS. It is just so light and airy and comfortable. I know it’s hard to see the details, but there are 10 little tucks in the front and tabs on the sleeves. I wish I had had enough fabric to cut the longer length sleeves but no matter. I really wanted to make this top to join in with Anne’s Jungle January. There were some great pieces featured. 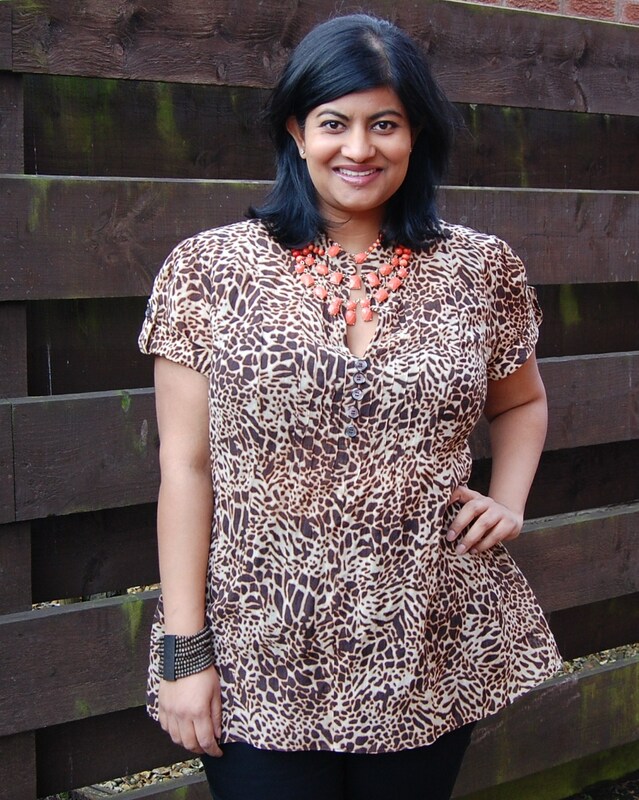 Animal print is a neutral in my book…year round suitability. Be brave and rwaaaarrrrr! p.s. I have just seen that I am the “Member in Focus” over at PR.com….head over if you want to find out more about me. That looks so great on you! Especially with the skinny jeans. And I love those shoes btw! That is really lovely, nice work! Fantastic! 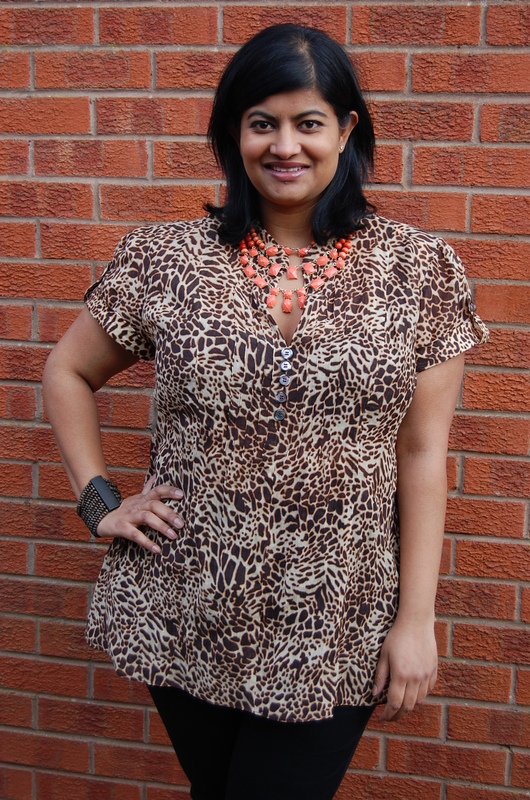 Perfect combo of pattern & fabric resulting in a super flattering garment — well done :D! You have chosen a great fabric to make this top in and the style really suits you. I have looked at this pattern several times but never bought it. I love your version. Lovely top! The little tucks make it unique. I can see this going with lots in your closet. It really looks great on you! Well done! Watch out for Shelley and I in a van! that is such a cute outfit, and I never noticed that pattern before, now I think I need to get it. congrats on being the PR member in focus – great profile. I always love to see what patterns you choose. Looks very flattering. Nice choice of pattern and fabric.